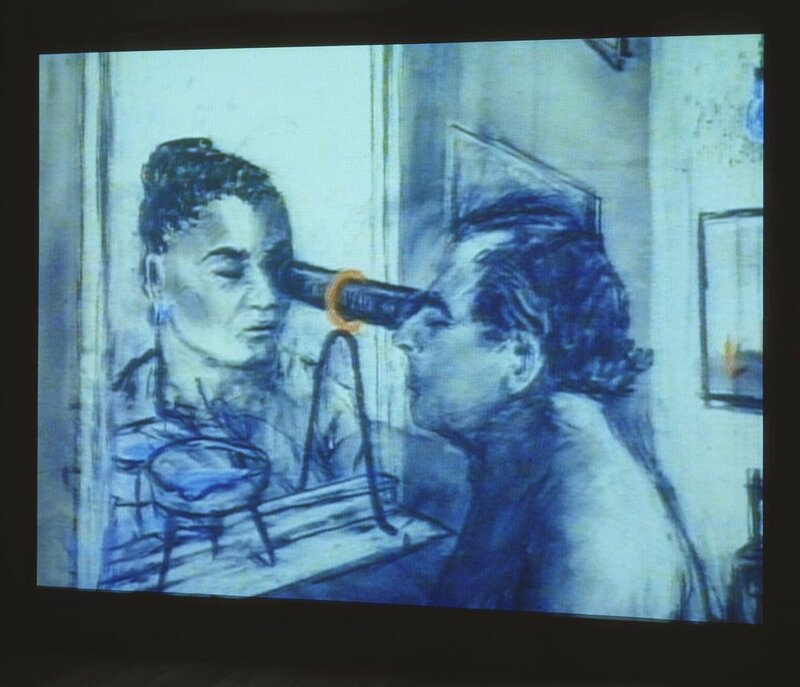 Felix in Exile, 1994 by William Kentridge. Protesters taking part in the March 4th 2018, during women's rights protest in London. Image Source: Press Associate. The gender pay gap is an ongoing global issue, apparently not closing until 2059. In 2017, England had the highest gender pay gap, of 10.0 percent, with women earning as much as 9.4% less than men on average. The pay gap is an even bigger issue for women of colour, showing the impact of intersectionality. A 2016 Pew Research Poll suggests that “white and Asian women have narrowed the wage gap with white men to a much greater degree than black and Hispanic women in the US,” and “black African women have seen virtually no progress in closing the gender pay gap between them and white men since the 1990s, which according to the Fawcett Society, still stands at 19.6%” in the UK. What’s also worth noting is that many women of colour work undesirable jobs such as cleaning and caring remaining heavily underpaid and having career prospects blocked. According to Carolyn B. Maloney, ranking member of the US Congress Joint Economic Committee, this leads to poverty in the age of retirement, creating entire groups of vulnerable individuals. Anti-racism protest after the Brexit referendum vote in London. Photo source: InStyle. When speaking of job opportunities, it comes as no surprise that, due to systematic racism, people of colour must “work harder” in order to be accountable for the same standards that white people are deemed to have. Despite many people of colour being able to make it through their GCSEs and A levels to get to university, according to a Trades Union Congress report, “black workers face a ‘massive pay gap’ that widens as they achieve more qualifications. With 97 percent of Britain´s elite being white, and many white male in top management positions, an unconscious bias has been propagated, stigmatising people of colour and women. This leads to a vicious cycle of hiring only white men in senior position, reducing diversity, and showing the impact of white privilege in the work marketplace. In the end, these systematic racist ideologies create rifts of economic class, due to low income, and public-sector jobs. According to The Poverty Site, around two-fifths of people from ethnic minorities live in low-income households, twice the rate for white people. Part-working families from ethnic minorities are almost twice as likely to be in low income as part-working White British families: 45 percent compared to 25 percent. A 2016 study suggests that ethnic minorities account for up to 40% of all homeless households in England, despite being just 15% of the population. And the ones suffering the most are again women of colour. Despite the UK becoming more middle class than working class, the majority of middle class people hold derogative racial views. With most private school-educated students white middle class, the chances are higher that they will becomes senior members of staff, continuing these ideologies. Of course, poverty will be a continuing issue, but will minorities always be victims? Despite existing programmes being created to combat intersectionality of privilege, and the growth of activists discussing these issues, it seems invisible privilege will be present for a long time. But why? Does invisible privilege still exist because privileged people won’t face their truth, still serving it, and therefore hindering the chances of minorities to end this vicious circle? Are there underlying issues and ideas as to why people such as minority races, disabled people, and women are being kept in these positions? But here’s the most important question: what are you doing about it?